I know that the sun is still shining, but autumn is upon us and the berries are ripening, it’s harvest time! So you may wish to join me for some autumn foraging walks to discover and taste this bounty, plus learn some new recipes! Saturday 3rd September – meet in Atlantic Pond car park at 2pm for a walk along Blackrock railway line. Paved and wheelchair/buggy accessible.€10 including notes and recipes, kids forage free. Saturday 2nd October – Ballincollig Regional Park, meet in car park beside Cafe Chico stall at 2pm. €10 including notes and recipes, kids forage free. 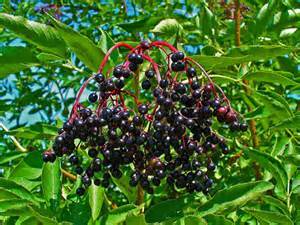 Whether its elderberry syrup for preventing coughs and colds or blackberry jam on your toast, come and learn how to harvest nature’s bounty and make delicious meals! Wild food walks this spring! admin on Wild food walks this spring! Emma Healey on Wild food walks this spring!